With his martial arts skills Steven Seagal once saved the world from nuclear attack and ruthless oil corporations – in Hollywood blockbusters. But now the Under Siege star has been asked to transfer the skills he showed on the silver screen into real life and train up Serbian special police forces in Aikido, the Japanese martial art. "When you have such a famous star coming to Serbia, who loves our country and our people, our desire is to have him back again, " said the mayor of Belgrade, Sinisa Mali. 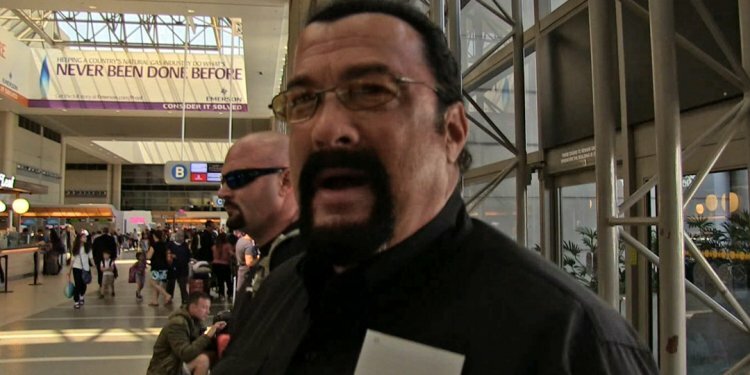 During a three day visit to Serbia’s capital Belgrade, the 63-year-old who starred in the reality show Steven Seagal: Lawman which saw him perform duties as a reserve deputy sheriff in Louisiana and Arizona, met with the country’s Prime Minister, Aleksandar Vucic, and the pro-Russian president, Tomislav Nikolic. While in the city, Seagal received an award from the Belgrade-based Brothers Karic Foundation for his humanitarian work and said he was proud to get the same honor that Russian President Vladimir Putin once did. The head of the Karic family, Bogoljub Karic, was given asylum in Russia after he fled Serbia when its previous government charged him with corruption and the embezzlement of millions of dollars in state funds. It is unclear whether he will have time to train the forces however as he has a number of movies set to be released next year.